It may not have the glamour of its Argentinian neighbour, Buenos Aires, but the cool, compact and cosmopolitan Uruguayan capital of Montevideo, situated at the junction of the Atlantic Ocean and the Rio de la Plata, has lots to offer the intrepid cruise traveller. Quieter than other South American cities, with an intriguing blend of old and new, the quality of life here is high, and many Montevideans enjoy an active, outdoor lifestyle. Many tourists come here for the laid-back vibe – a raucous party is harder to come by than it is in Buenos Aires or the nearby Punta del Este. But the locals don’t seem to mind, in fact, there are 1.5 million people in Montevideo – that accounts for half the entire population of Uruguay. 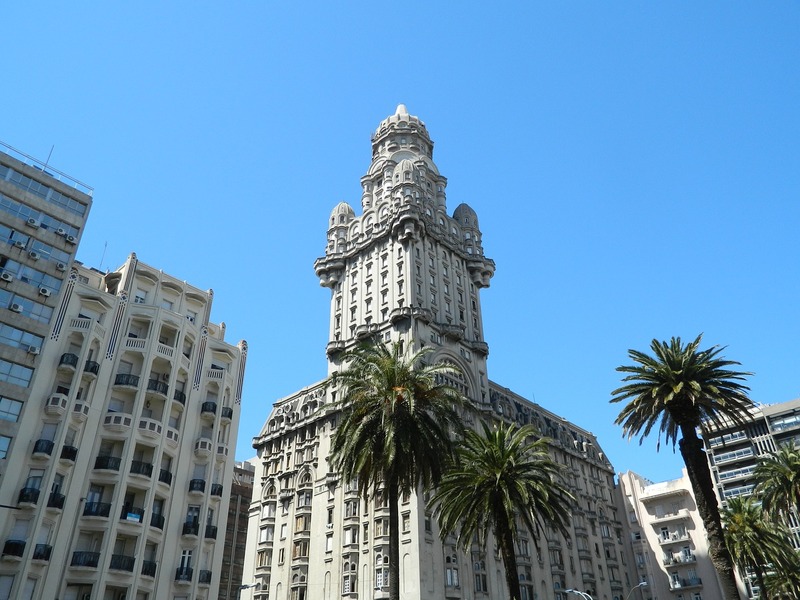 Situated in the south of the city – roughly a mile from the centre – Puerto de Montevideo is right next to the historic old town of Ciudad Vieja and is the main port in Uruguay. Passengers can walk from the ship into the heart of the old town in a matter of minutes. But for those unable to complete the short walk there are metered taxis on hand or you can even hire an Uber. Ciudad Vieja: This is the heart of the old colonial city. Stroll along the Plaza Independencia, which features a statue of the ‘Father of Uruguay’, Jose Gervasio Artigas, and marks the spot of his mausoleum – it is lit up at night so he is never in the dark. The Palacio Estevez once served as the working palace of the President of Uruguay, while Teatro Solis is the second-biggest theatre in South America and often hosts events and concerts. Plus, don’t miss the changing of the guard at midday. Mercado del Puerto (Old Port Market Building): This is the place to go for an authentic meal and is just steps away from the cruise terminal. Built in 1868, clients will love sampling – and smelling – the delicious barbecued meats or ‘asado’ on offer and grabbing a cold beer to watch the world go by. But this place is not just great for local cuisine – the arts and crafts shops are also worth a look. Museo del Carnaval: Montevideo is said to host the longest carnival in the world – lasting from January until March. Located near the port market, this colourful museum captures the real spirit of Uruguay: costumes, masks and drums. There’s photos and exhibits from over 100 years of Montevideo’s popular carnival. Don’t miss the café and courtyard behind the museum where performances are held during the summer. El Palenque: You can’t visit South America and not visit one of their famous grilled meat restaurants and this one – situated in the Old Port Market Building is thought of as one of the best. El Tinkal: Here you can try the Uruguayan speciality – chivitos – which is essential a giant sandwich filled with beef filet, bacon, fried egg, fried ham, lettuce, tomato, onion, olives, mozzarella, fries and lots of mayonnaise. Now that’s what we call a sandwich. Escaramuza: This charming café is situated at the back of a bookstore. Imagine that? Find some light reading and then settle down on the terrace for some fine food to go alongside it. Bliss. Constitution Square: This large, popular square is filled with stalls and market traders looking to sell you their artisan goods – nice for an afternoon browse. Feria de Tristan Narvaja: If you’re looking for a taste of authentic Uruguay then you should pay a visit to this huge flea market held every Sunday. Bargains aplenty! Punta Carretas Shopping: Looking for the nearest shopping centre? Well, this one holds over 200 stores from local favourites to global brands (and used to be a prison until 1986). The pink ‘tourist bus’ is a great way to see the sights – it’s a hop-on, hop-off service and tickets can be bought on the bus with a credit or debit card. If you are planning a cruise to Argentina then you may also be interested in checking out the latest ocean and river cruise news and our most recent South American cruise features.